Kenneth Branagh’s Cinderella is set to start principal photography in the UK at the end of August. Starring Lily James (Downton Abbey) as Cinderella and Richard Madden (Game of Thrones) as Prince Charming, the Disney live action production will be based at Pinewood Studios. Cinderella‘s script has been written by Aline Brosh McKenna (The Devil Wears Prada) and rewritten by Chris Weitz (Twilight: New Moon). Simon Kinberg, Allison Shearmur and David Barron will produce. Also starring is Helena Bonham Carter as the fairy godmother and Cate Blanchett as the wicked stepmother. The wicked stepsisters are played by Sophie McShea (Downton Abbey) and Holliday Grainger (Great Expectations). Swedish actor Stellan Skarsgad will play the king’s adviser. Originally, Mark Romanek (One Hour Photo) was slated to direct, but earlier this year Branagh took over the reins. Cinderella is the latest modern feature twist on classic tales, such as Snow White and the Huntsmen and Tangled. It is scheduled for a March, 2015 release. 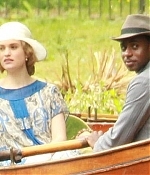 Congratulations to ‘Downton Abbey’ for their 12 nominations at the 2013 Emmy Awards! See full list of nominees here. Downton Abbey is set to lead the British hopefuls at this year’s Emmy Awards after scooping a string of nominations in the main categories. The show – which is due to return to ITV in the autumn for a fourth series – is one of six programmes hoping to win the coveted best drama prize at the prestigious TV awards in September. And as well as competing in that category, several of the show’s stars will also be hoping to take home gold on the night. They include Hugh Bonneville, who has been nominated for best drama actor, and Michelle Dockery, who is up for best drama actress for her role as Lady Mary Crawley. Meanwhile co-stars Jim Carter and Maggie Smith have both scored nominations in their respective categories for best supporting actor and actress. However the show will face some stiff competition in the drama series category from fellow nominees including Breaking Bad, Game Of Thrones, Homeland, Mad Men and the Netflix series House Of Cards. Bonneville, meanwhile, will go head to head in the acting race with fellow Brit Damian Lewis, who is nominated for his role in Homeland. Lily attends the Emporio Armani’s Summer Garden Live 2013 on July 16, 2013 in London. She was absolutely gorgeous! Enjoy. 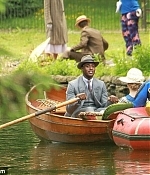 How about some scoop on Gary Carr’s Jack Ross, who we got a first peek at in some new pictures that surfaced this week! 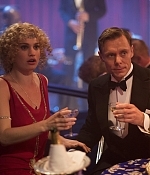 When I caught up with executive producer Gareth Neame, he dished on the jazz musician’s addition and what we’d be seeing between Ross and cousin Rose (Lily James), who meet in a London club. “We know she’s a bit of a wild child, right? She’s a bit rebellious, and she likes the boyfriends,” he teased. 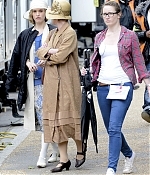 Added photos of Lily on the set of ‘Downton Abbey’ on June 23, 2013 in London. I have uploaded to the gallery HD screen captures of Lily in the latest season of ‘Secret Diary of a Call Girl’. I have added stills of Lily as Lady Rose MacClare in episode #3.8 of ‘Downton Abbey’ and photos of Lily while filming season 4 on February 28, 2013. 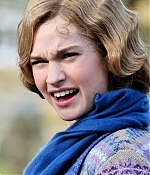 Lily James Online Grand Opening! Hello and welcome to Lily James Online, your latest fansite dedicated to the beautiful and talented British actress Lily James. You may know her as Lady Rose MacClare in the hit series ‘Downton Abbey’ but you will also see Lily on the big screen in the Disney‘s live action ‘Cinderella’ starring Richard Madden and Cate Blanchett. 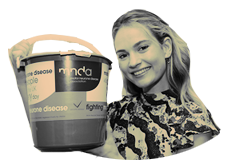 Do not hesitate to follow us on twitter @lilyjamesonline and tumblr, and if you are interested in becoming affiliate with our fansite, you can fill the form here. I would like to thank Helen for her big help with some high quality photos! I hope you will like the site and will enjoy your visit.